2018 Taxes: $3,495.00 | 2,140 Sq. Ft.
Tuscan Ridge Vacation Home For Sale – LOCATION LOCATION LOCATION! Enjoy the tranquility and peace of the beautiful home located at the back of this prestigious community. 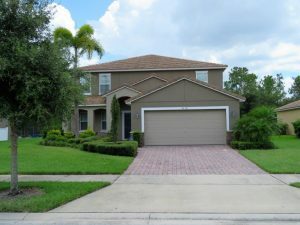 This fully furnished 4/3 pool home will suite someone looking for a second home or investment property. Alternatively, this spacious and well thought out floorplan which offers a formal living and formal dining room as well as family room, would make a great family home. The property has a spacious and private pool deck with lots of covered lanai space and no immediate rear neighbors. Located within minutes of Disney, I4 and 192, this beautiful home provides easy access to the local attractions, downtown Orlando, etc. Enjoy the Florida lifestyle.